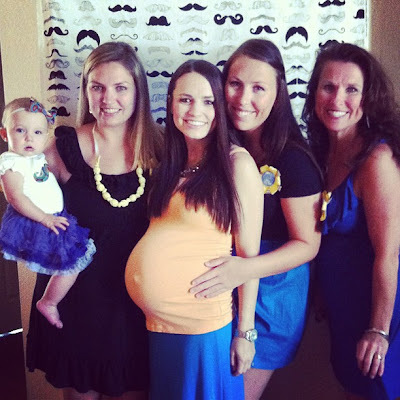 This weekend, my mom and sisters threw me the most amazing baby shower for our sweet little guy! The week leading up to the shower I kept saying, "I can't believe it is here!". I remember telling my family we were pregnant on Christmas Eve and my sisters were already planning the baby shower. I thought June would never come and we are a third through the month and just 8 weeks away from meeting our baby. The theme was mustaches and bow ties (duh!) and if you follow me on Instagram, you got a few sneak peeks. My sister had my camera the whole time and I am so glad she took pictures because the whole thing was so surreal. It was over before I knew it and we were left with stacks of gifts and great memories. Family and friends have been the greatest blessing in our lives and we are so lucky to have so many people to love and support our family, and our unborn son. So many precious gifts for baby Hart! Can't get cuter than baby Polo and baby Under Armor (Jon was psyched!). Honestly we only have a few small things we need to prep for baby Hart and thanks to gift cards, I am going to go pick those things up in the next few weeks and we will be set! I really have some talented friends, we got so many handmade blankets, outfits, pillows, etc. Can't wait to show them off when baby is here! Friends who came to the shower, friends who have showered us from a far, blog friends... we are so blessed to have you in our lives. Thank you for loving and supporting us! I mean how cute is your Fam?! I love the advice--they are all so clever! :) How blessed you are!! Yay for Baby Hart - sooooo excited for you!!!!! It looks like you had a wonderful time!! 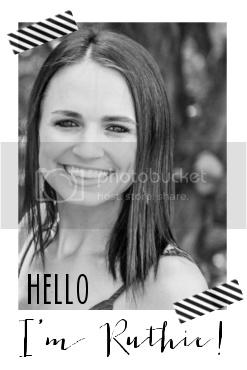 I love the theme, the backdrop for photos, and The advice with friends and family is so cute! Love that idea!! What a special day! It looked like loads of fun. Such a cute shower! Looks like it was so fun! Love all the advice pictures! So glad y'all had a fun day and shower! 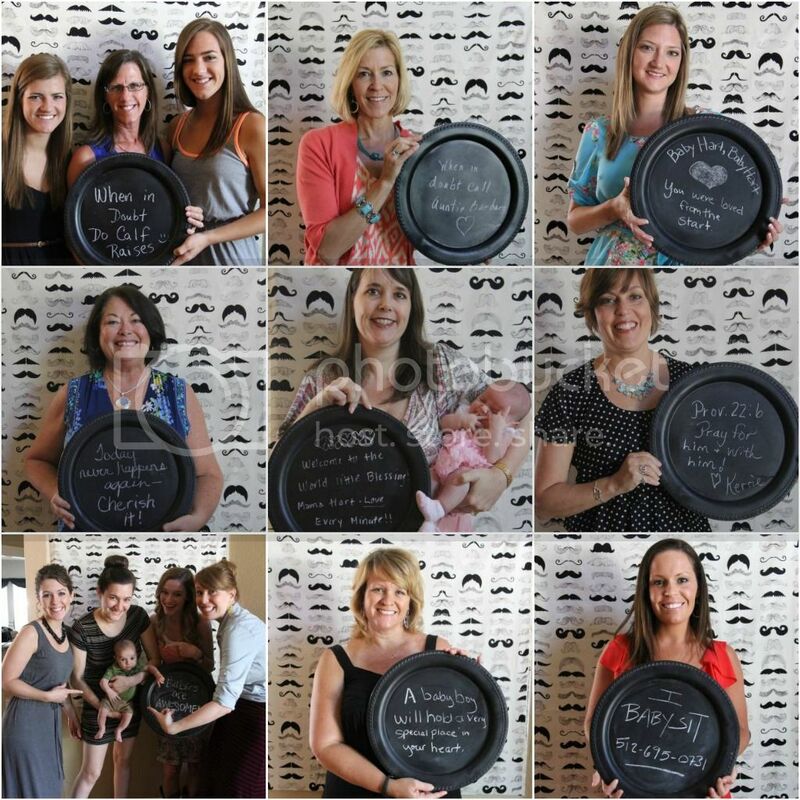 Such an adorable and fun shower! I love all the decorations (and your baby belly!!)! Happy shower Ruthie!!! So excited for you and Jon to meet your little man. Aw, looks like a blast! What a cute theme! What a beautiful shower, and beautiful momma-to-be :) I can't believe the day is SO close already! 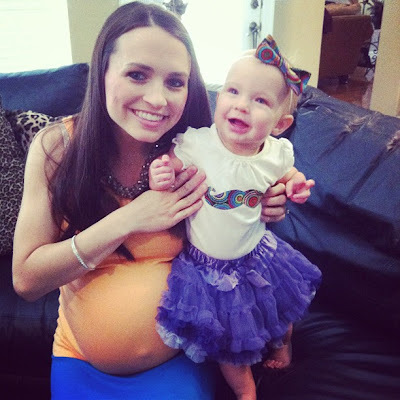 You are going to make a wonderful mom, Ruthie!! Suchhh a cute party and such a special day, I can tell! :) I love the baby Under Armour too- how fun!! so so cute Ruthie! looks like it was a blast :) love the advice from friends..such a good idea!! 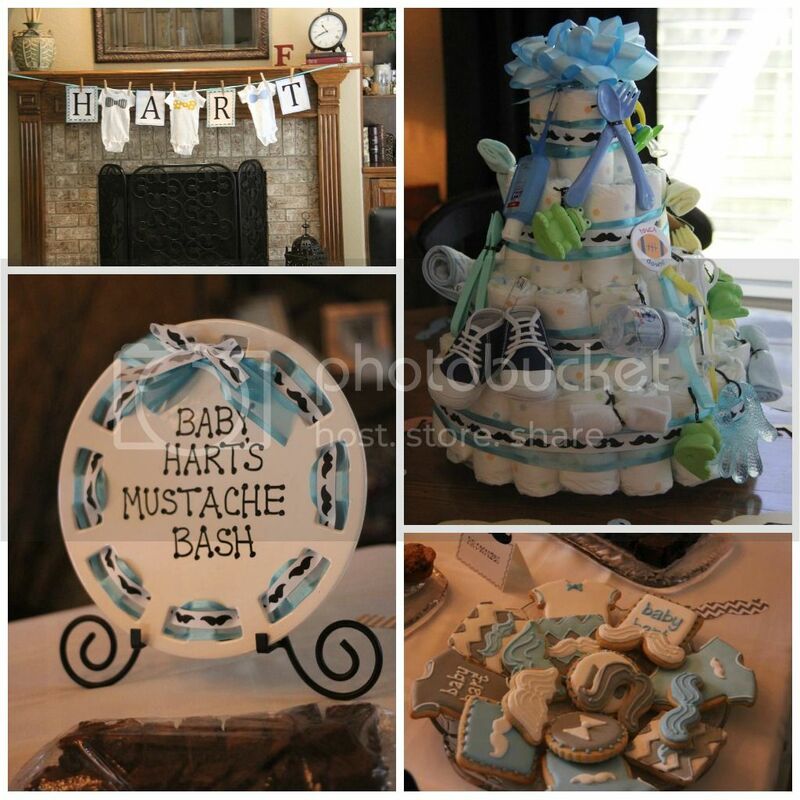 Looks like Baby Hart was very spoiled and the love for him shows through your photos!! So happy you had a wonderful shower!!! Eeeek! It's getting so, so close! Can't wait to "meet" that little one! so cute! looks like lots of fun! Looks like such a fun shower, but how could it not be, spent with sweet friends and family? Congratulations, so excited for you!! Such an adorable shower! :) The theme is PERFECT!!!!!!!!!!! I'm sure this only got you more excited to welcome Baby Hart! It's so great to see how blessed you are with amazing family. you are so blessed! the shower looks adorable and like it was so much fun. i am so excited for you! Everything is so cute!! Looks like a beautiful shower. Yay for baby stuff!! oh this looks so fantastic. what a beautiful shower! Looks like such a wonderful shower! They did a great job! Baby Hart is so lucky to be coming into the world with such a great fam, mom and dad, and community to be apart of! that has to be jen's sister in the last pic! ahhh! cutest shower ever! i'm so glad you have everything you need! so excited for you guys :) and baby under armour?! ahh! What a sweet shower! 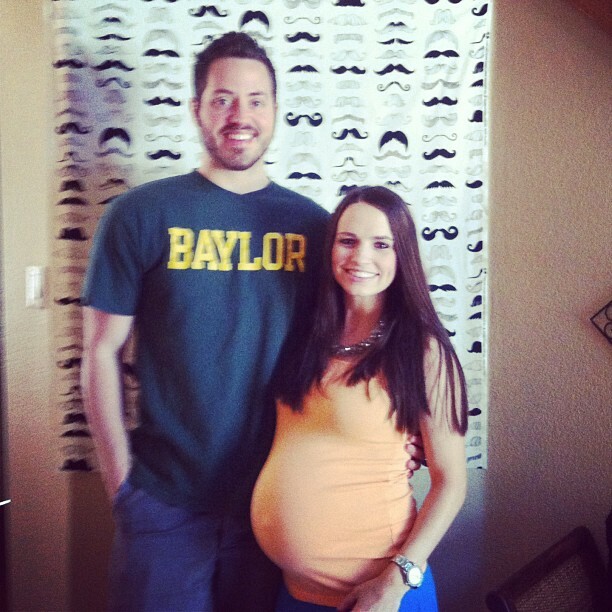 Love the mustaches of course ;) You look so wonderful, a beautiful mama. Looking forward to sharing a small bit of your motherhood journey, you will do great! It's not hard to love you guys!! Yay on baby Hart's shower! !